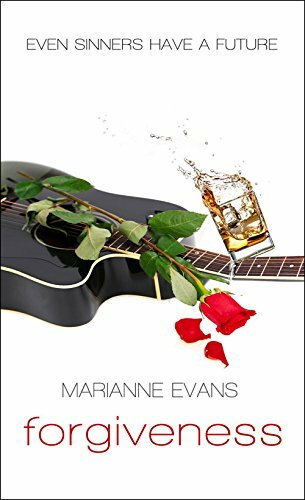 Forgiveness by Marianne Evans is a contemporary Christian romance. It has a strong message of forgiveness and God at its heart. Forgiveness is as essential to life as breathing. We have all been forgiven and we all need to extend forgiveness. We are all covered by God’s grace. Forgiveness is not easy. There is no gradient on forgiving – we just need to do it. Forgiveness sometimes needs help from God. It is not always possible to do but it is God’s way. “Forgiveness… accept it and give it on His terms.” Extending forgiveness frees us from bitterness and hurt. It is as much, if not more, for our sake as for the one we’ve forgiven. The theme of hurt goes hand in hand with forgiveness and runs throughout the novel. We may have been hurt as a child and then held on to it for years. Today is the day to let it go and stop being bound by the past. There is the theme of love covering the whole novel. There is God’s love. “God gives love based solely on generosity and goodness.” He loves unconditionally. There is parental, sibling and romantic love. All different but all essential to a healthy life. Forgiveness shows the power of a father’s love. Earthly fathers may be far from perfect. Sometimes others step in to the role vacated by the biological father. God is our perfect Father. He will not let us down. We know that we can always trust Him. Forgiveness alludes to the story of the Prodigal Son as it shows a father loving and forgiving his repentant son. The novel deals with the tough topics of addiction and mental and physical domestic abuse. My heart just broke at the abuse described by an adult looking backwards. Marianne Evans portrays the scene with sensitivity. Addiction can take many forms. It is alcohol in question in the novel. Addiction needs to be conquered and the sufferer needs help from both God and others. The reader is reminded that God can redeem and restore. “You need to see his redemption rather than his past.” We are all a new creation in Christ Jesus. Trust in God is vital to see us through life. “Take a leap…you’ll either fly on God’s wind, or He’ll catch you if you fall.” God is always there for us, walking us through our good and bad times. There is power in songs. Sometimes a song can say what we are feeling when words are trapped in our hearts. Forgiveness was a powerful novel. It spoke to my heart. Marianne Evans has a talent in presenting a story that gets the reader to question their faith. Who are we to decide who to forgive? Who are we to judge? Do we trust God completely? Forgiveness was my first novel by Marianne Evans. It was a superb read. It had a wonderful storyline with likable characters and godly themes. I loved it. Forgiveness is a compelling read that will speak to your heart. Highly recommended. This was my first book by this author and I loved it. the story made you want to know how all these issues will be resolved. Pyper and Chase are reminders how God is a God of second chances. I love how the characters were recording a song about forgiveness and that was the issue the had to face. You are reminded that forgiveness is not about the person but about you and your relationship with God. An unforgiving heart only captive is you and not the person who needs to be forgiven. If you are struggling with forgiveness this book is a great start to letting go and to be free. I was very fortunate to be a part of the launch team for this book and was happy to post this review. Oh, my goodness, I’m stunned I didn’t come across this lovely and provocative review of Forgiveness before now! Please forgive me for being tardy in saying how deeply I appreciate your words, analysis, insight and appreciation of what “went in to” the creation of this story. Blessings, and many, many thanks – this is a review I’ll treasure always!